Mark has closed millions in sales transactions including Manhattan development sites, Brooklyn townhouses, and new construction condos. He exclusively represents multiple residential buildings throughout Manhattan, including a 1,000 apartment, 24 building portfolio. Mark's decade long career has earned him several awards starting with Rookie of the Year, Customer Service Awards, to Top-Producer designations, and President's Council honors. Mark's deals have been featured in the press, such as this $8.9M sale. His move to Compass was chronicled in the NY Post and featured in the Real Estate Weekly. First-time homebuyers of co-ops, condos, and townhouses. B.A. in History from the University of Florida. Enrolled in classes at Schack NYU. Local and National Member of Compass Philanthropy Board, Habitat for Humanity. As a top grossing agent at Compass, Mark Griffith has been involved in pre-acquisition of over $2B in transactions throughout his career and has in turn established himself with admirable reputation in the industry and as a go to advisor for a sophisticated clientele. His knowledge of local market trends and luxury property inventory, paired with remarkable customer service and confident disposition, has allowed him to quickly rise to become a top real estate advisor in New York. Griffith’s passion for New York City, its history, architecture, and culture goes as far back as he can remember, and has been integral in the incredible success he has enjoyed as a residential sales agent. From earning Rookie of the Year 10 years ago to becoming a company-wide top producer one year later and continuing this momentum throughout his decade-long career, Mark has enjoyed an impressive level of success built on outstanding skill, service and client satisfaction. 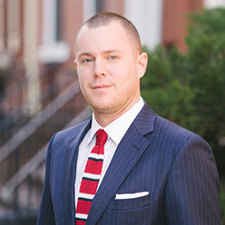 Mark specializes in purchase advisement, development site analysis, high-level consulting, and the marketing and sale of townhouses, condos and co-ops in Manhattan and Brooklyn. He is an expert in statistics, valuation, and forecasting, bringing his strong math and analytical skills to produce a stellar track record of meeting the needs of a discerning clientele. With a strong focus on advisement and consulting for private equity, family offices, buyers, sellers and renters, Mark has forged strong relationships with top developers from New York to Miami. He has a strong track record of sourcing development sites and building packages, as well as individual apartments. Mark is currently working on multiple development projects in Manhattan and Brooklyn and leverages these opportunities and unique knowledge base when serving as a purchase advisor for his buyers. Originally from Florida, Mark grew up on the job site with his father who was a general contractor and firefighter. He earned a BA degree in History with a minor in Business from The University of Florida, then made the natural transition to follow his passion of living in New York City and learning everything possible about the city’s storied real estate. Mark is known throughout the industry and respected for his hard work ethic, honest approach and outside the box thinking when finding the best real estate solutions for his clients. Outside of work, Mark is an avid world traveler, a wine and food enthusiast and is translating his love of music to learn how to DJ. He is also a Junior Associate at MoMa, a Founding Member of the Whitney, involved in Habitat for Humanity, and a member of the Compass Philanthropy teams at both a national and local level. Welcome to the The Grove, an Urban Oasis set in heart of prime Chelsea nestled between 7th and 8th Avenues and along tranquil, tree-lined West 19th Street. Thoughtful, condo-level finishes abound in painstakingly crafted residences by award winning designer Andre Kikoski. Large, open kitchens feature top-of-the-line appliances including Bertazzoni speed ovens, Bosch cooktops, dishwashers and refrigerators by Blomberg, all paneled with custom, Sand Ash millwork with natural stone counters of Brazilian Quartzite. Luxuriously appointed bathrooms are clad in oversized Calcutta Prima marble and include designer vanities, double door medicine cabinets, and an exclusive fixtures packaged designed by Andre Kikoski in partnership with Kallista. Many of the residences offer expansive city views of the Empire State Building and Downtown Manhattan. *Building Features include: 24-hour Doorman, Elevator, Verizon Fios, and welcomes your pets. *Each residence comes with a complimentary, all access annual membership to the Crunch gym right next door.